Neal's The Hair Studio & Day Spa is an eclectic family of highly trained and creative hair stylists, estheticians, massage therapists, and nail technicians. "It doesn't matter if you're wanting to maintain your current style or try something new, we'll make your hairstyle dreams come true." "Making you feel beautiful is always the highlight of our day! " "Yes, happiness does have an address. " "Where the new you is crafted. " "We're here to help you be the best version of yourself. " Super great salon and atmosphere! Neal and the rest of the employees were sweethearts and Neal did a great job!!! Will definitely be getting my hair dyed and cut here exclusively in the future. You’d be making a mistake if you don’t try them out! Yes, I'd like to receive news from Neal’s The Hair Studio & Day Spa. 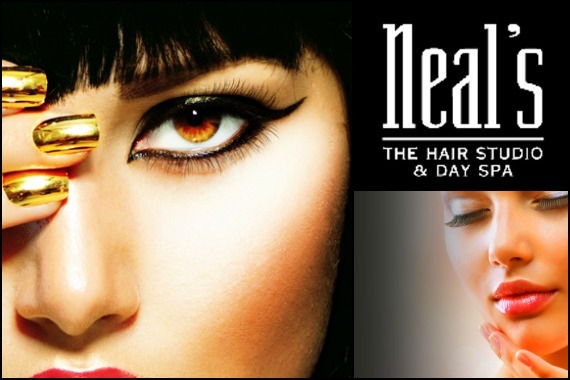 Sign up for the Neal’s The Hair Studio & Day Spa Newsletter!